It is hard to believe I have been in Asia for almost a year and have now been privileged to witness two Yee Peng celebrations. 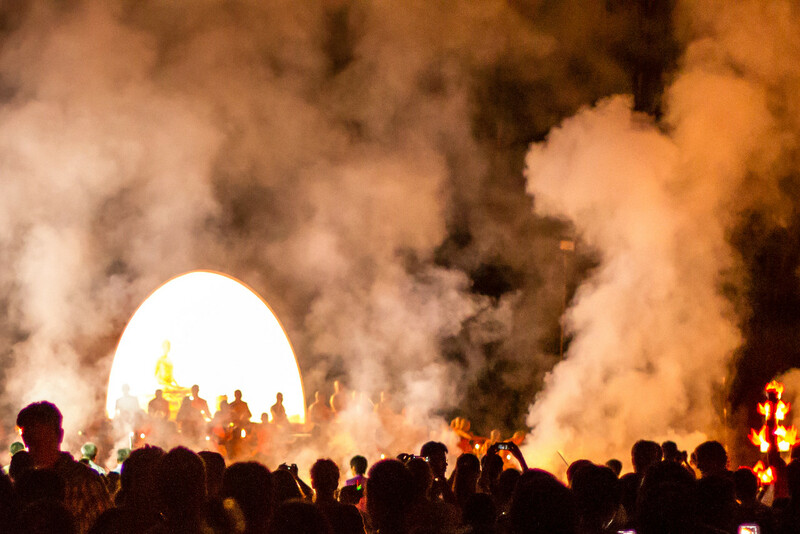 Last year I attended the Yeepeng Lanna International festival near Chiang Mai, Thailand which is an amazing spectacle designed largely for foreign guests. This celebration is more local and largely attended by Thais and expat Farang (a Thai word for people of European ancestry). Yee Ping is one of those mind-expanding events that everyone should witness at least once in a lifetime. At the festivals, a monk leads the participants in a meditation lesson and then a blessing which wishes peace, happiness, and prosperity to all of humankind. 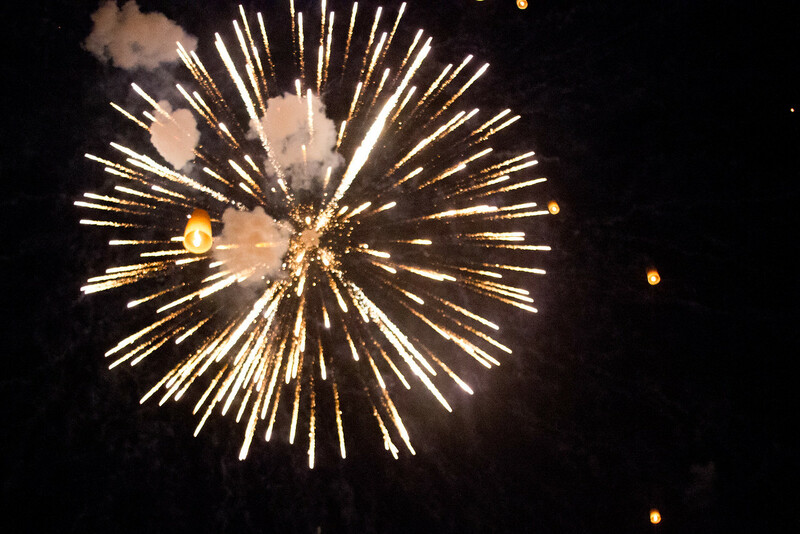 Then thousands of large paper lanterns (or khom) are released simultaneously as a way to pay respect to the Buddha, release bad memories and make a wish for the future. There are not enough words to describe the beauty that goes with this visual display of hope and peace. 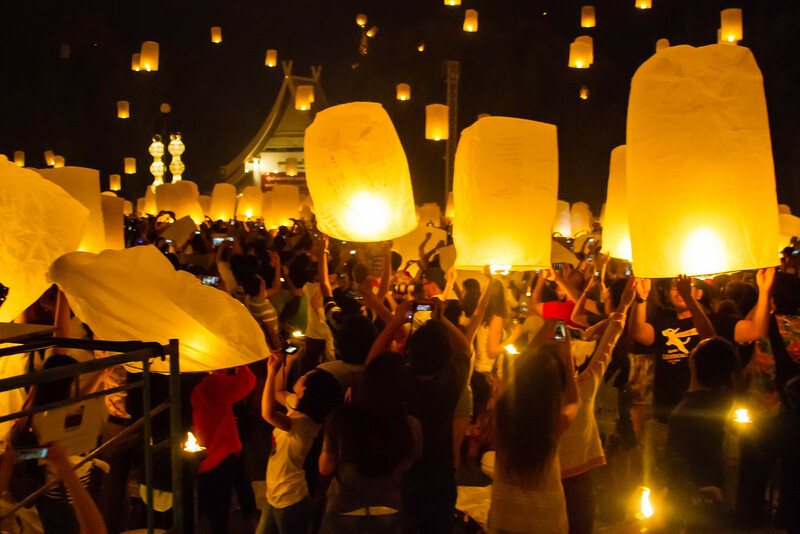 Seeing a sky filled not only with glowing lanterns but more figuratively, symbols of hope and people freeing their minds of negativity is also spiritual and very emotional. On a more personal note, the festival was a time to reminisce about l the great memories I have of my last year in Asia. It was also a reminder that my plan to spend a year at a time in different countries, Thailand this time, has been somewhat altered by the nine memorable months I recently spent in Cambodia. I have decided to reset the clock a little and spend at least six more months based in Thailand and travel this region before moving on to new adventures elsewhere. I have many things planned for this minimalist retirement travel adventure in the upcoming months and look forward to sharing them with you. What a celebration! I can’t get enough of that video. Its incredible with all those things flying. 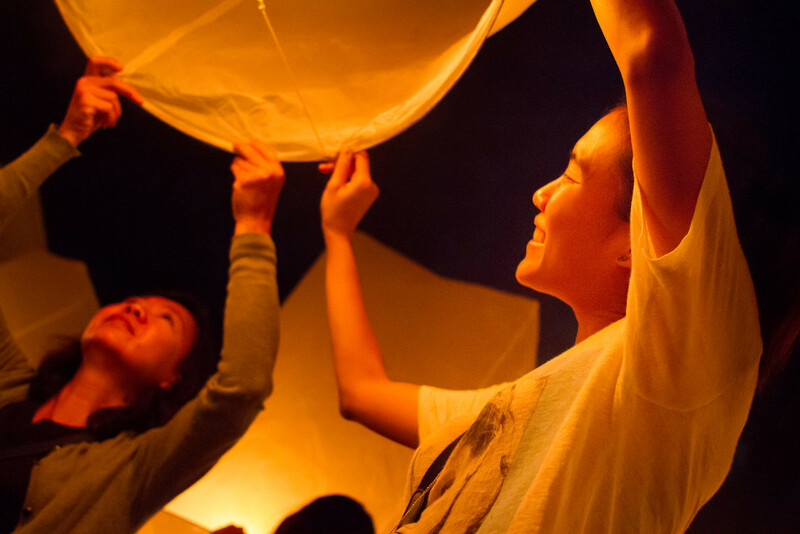 So simple, pretty, serene and hopeful – Don’t think I’ll ever tire of looking at the lanterns. Absolutely on my bucket list!